← The Privileged Perverts Live Wednesday Night on LIVATION! 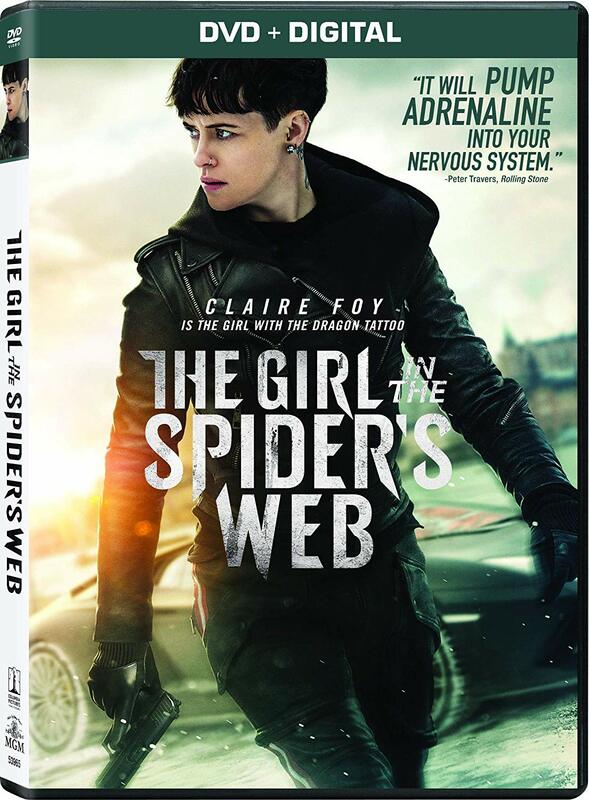 “ The Girl in the Spider’s Web” (2018, Sony Home Entertainment) Hard-boiled hacker Lisbeth Salander – here played by “The Crown’s” Claire Foy – is tasked with destroying software that can access to the world’s nuclear arsenal; when the sinister Spider organization makes off with the data, Salander and journalist/partner-in-crime Mikael Blomkvist (Sverrir Gudnason) must protect the autistic boy who retains the passwords. 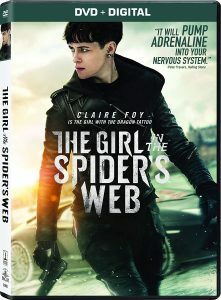 Stylish but defanged spy thriller based on David Lagercrantz’s continuation of Stieg Larsson’s Millennium trilogy; director Fede Alvarez (“Don’t Breathe“) does well by the action set-pieces, but the beguiling moral/personal ambiguities of Salander’s character have been pared away, leaving Foy to play a standard-issue action hero in Goth gear. With Vicky Krieps, Stephen Merchant, Sylvia Hoeks and Lakeith Stanfield; Sony’s DVD includes commentary by Alvarez and writer Jay Basu and making-of featurettes. “Love, Gilda” (2018, Magnolia Home Entertainment) Affectionate and bittersweet portrait of the actress and “Saturday Night Live” alum, told largely through her own voice and words. Director Lisa D’Apolito employs a sizable amount of Radner’s personal writings – numerous diaries, her autobiography – and film clips, including home movies with her husband, the late Gene Wilder, to trace an arc from her melancholy childhood to stardom and the health problems of her final years. What emerges is very funny, even in the face of the cancer that claimed her life, but always human – self-deprecating, doubtful of her talents, amused at her personal and professional successes – in short, the same qualities that made her best-loved characters (even the most unhinged) so memorable. 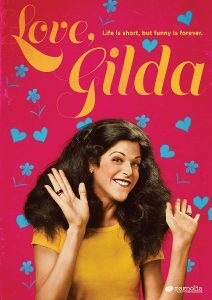 Friends, castmates and admirers offer tributes, but “Love, Gilda” works best when Radner is center stage. 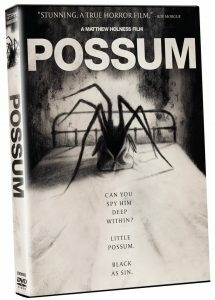 “Possum” (2018, Dark Sky Films) Middle-aged Philip (Sean Harris) returns to his gloomy English childhood home to contend with two nagging concerns: the stepfather (Alun Armstrong) who abused him as a boy, and the titular character, a hideous puppet that seems not only alive but determined to remain with Harris, despite many attempts to rid himself of it. 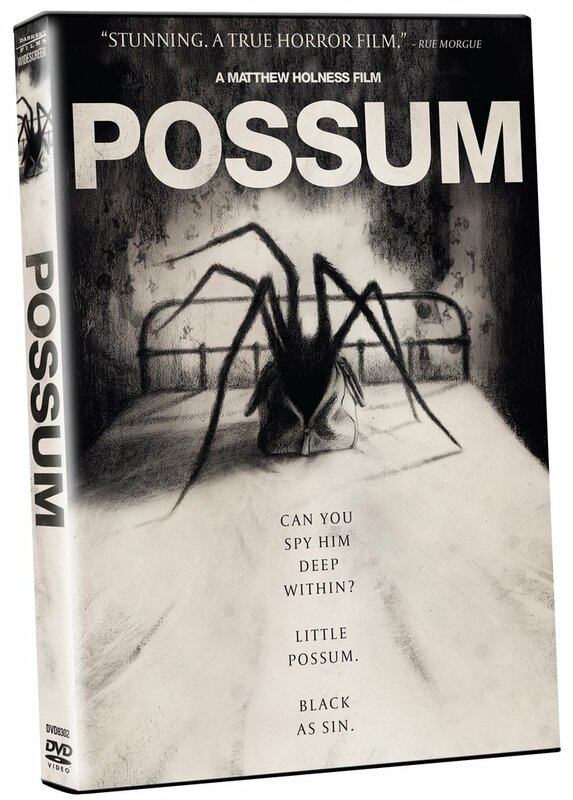 Unsettling feature film debut from Matthew Holness (“Garth Marenghi’s Darkplace“), who employs a host of ’70s stylistic tropes – from the mud-and-ash color palette to a nervous score built from electronic cues from the BBC Radiophonic Workshop – that will win over vintage horror aesthetes, but “Possum” stands on its own as a depiction of the inescapable daily nightmares created by trauma, and Harris (Ian Curtis in “24 Hour Party People” and Tom Cruise’s nemesis in the most recent “Mission: Impossible” films) and Armstrong as men in its grip. Dark Sky’s DVD includes interviews with cast and crew and a making-of doc. 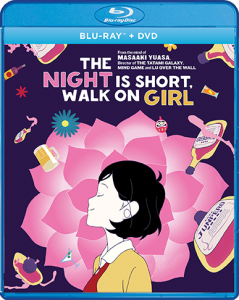 “The Night Is Short, Walk On Girl” (2017, Shout! Factory/GKids) What Maasaki Yuasa‘s college student heroine the Girl with Black Hair lacks in a moniker, she more than makes up for with boundless confidence and the ability to consume vast amounts of alcohol with no ill effect. Both prove useful as she carves a path through the flora and fauna of Kyoto’s afterhours scene, while a lovesick upperclassman trails behind. 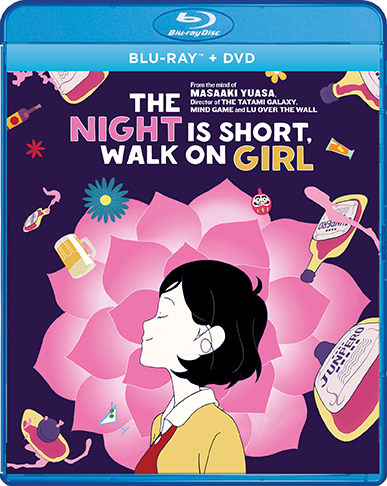 Yuasa’s most recent animated feature encapsulates the bottom-of-the-looking-glass psychedelics of an extended bar crawl, but as with his “Mind Game” (also released by Shout/GKids), there’s an unexpected wistful charm to the alcohol-soaked antics. Thankfully, that emanates less from the upperclassman – a hapless sap of the first order – and more from the Girl’s unflappable aplomb and the film’s supporting cast of oddball barflies, monsters and deities, all of whom bear degrees of sadness and insecurities that wash down, if briefly, with booze and nabe. Shout/GKids’ Blu-ray/DVD includes an interview with Yuasa and promotional material. 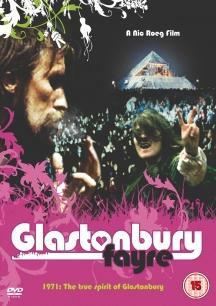 “Glastonbury Fayre – 1971: The True Spirit of Glastonbury” (1972, MVD Visual) Director Nicolas Roeg (“Performance”), who passed away late last year, shared directorial credit with Peter Neal on this concert documentary, which details much of the English festival’s second year. Though David Bowie and Hawkwind were on the 1971 bill, their footage is not included in the film; what you do get is Traffic with Steve Winwood, Terry Reid (with David Lindley and Linda Lewis), Fairport Convention (sans Sandy Denny and Richard Thompson), Melanie, and full-bore freakery from Arthur Brown, Gong and pants-free Magic Michael, who briefly fronted Can. Roeg’s cameras also capture the construction of the impressive Great Pyramid Stage and the Aquarian vibe (bongos/naked/mud) of the audience. MVD’s Blu-ray – the first official home video release of “Fayre” – includes commentary by Roeg and interviews with Melanie, Linda Lewis and others. Speaking of Melanie, she’s featured in MVD’s “Live at the Meltdown Festival 2007,” which found her in fine voice at her first performance in England since 1987. And on the subject of Peter Neal, MVD has also released a Blu-ray for “Yessongs,” his 1975 concert film featuring the Anderson/Squire/Howe/Wakeman/White lineup during the 1972 Close to the Edge Tour. 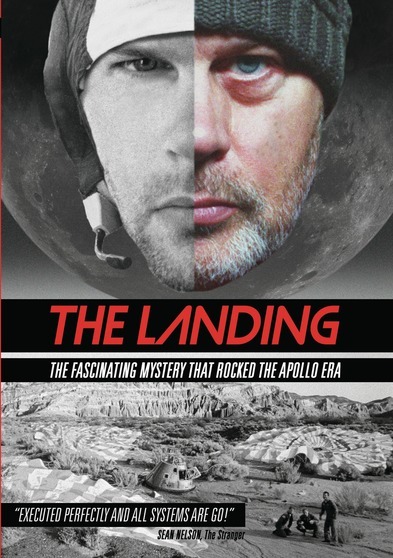 “The Landing” (2018, Random Media) Faux documentary details the controversy that still swirls around the disastrous (and imaginary) Apollo 18 mission, which ended with a crash landing in China and two of its three astronauts dead from mysterious causes. 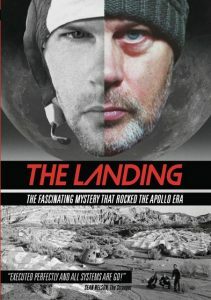 Writers/directors David and Mark Dodson make clever use of a 1995 short they made about the same subject, weaving the older material with newer scenes featuring the same actors and employing impressive period production design (for a low-budget feature) to give considerable veracity to their conspiracy drama. It’s an impressive construct, told with patience and utilizing a cast of very capable under-the-radar players (including TV vet Robert Pine), and does a far better job at building intrigue around an imagined incident than most major studio features.